See this mouse? Scientists cloned it from a single drop of blood and it lived to a full, healthy 23-month life. But before you start going off to make your own personal rendition of Multiplicity, you should know that this lucky female rodent was the only successful clone that researchers at the Riken BioResource Center in Japan managed to get out of a very low two-percent birthrate. The researchers created this clone using the somatic-cell nuclear transfer (SCNT) process that famously led to Dolly, the first cloned sheep. 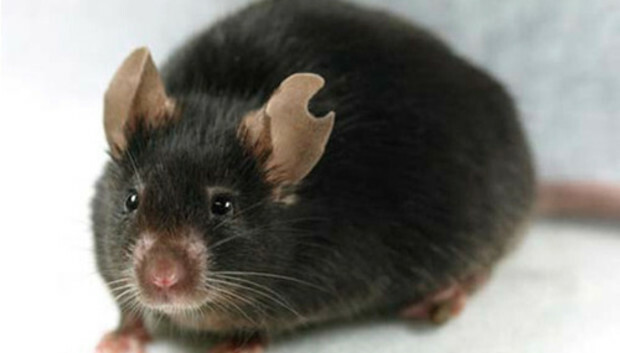 It starts off by taking blood from a mouse's tail and extracting the white blood cells. After that, scientists pull the nuclei out of these white blood cells to replace the nucleus core of an egg. The Riken scientists say this blood cloning approach is a much less invasive SCNT process that does not require euthanizing the patient and then surgically extracting cumulus cells from a female's ovaries. This new method could potentially allow scientists to replicate endangered specie--Galápagos tortoises, we're looking at you--without the risk of surgery. While we probably won't be making a real Jurassic park anytime soon, you might see a comeback for endangered species in the near future.